The Fibers of Kalamazoo team can find the perfectly sized and reasonably priced bubble pack and foam for all of your packaging needs. 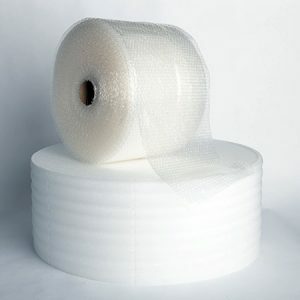 We carry perforated rolls, dispenser packs, microfoam bags and sheets, and more. Wrap objects large and small, surround bulky items in oversized boxes, and protect materials in storage and transit with our wide selection of packaging supplies. With high-quality bubble pack and foam from Fibers of Kalamazoo, you can be sure that your items will stay secure and cushioned. In need of additional supplies? 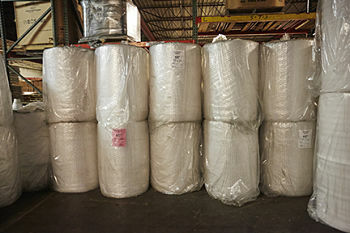 We also carry stretch film, corrugated boxes, void fill, and a wide range of other packaging products! We also carry gloves and other safety products to keep you and your employees as safe as the materials you pack! Fill out the form below or contact us today for more information. Our knowledgeable sales staff is eager to find the best bubble pack and foam and packaging products for your organization!